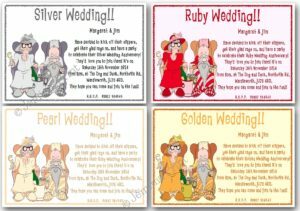 The wording on each invitation is as follows…..
(Silver/Pearl/Ruby/Golden) Anniversary……. 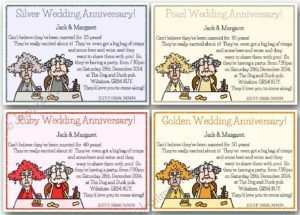 (names) would like to invite you to their (Silver/Pearl/Ruby/Golden) Wedding Anniversary Celebrations on (date) at (time) at (venue). R.S.V.P. (phone number). 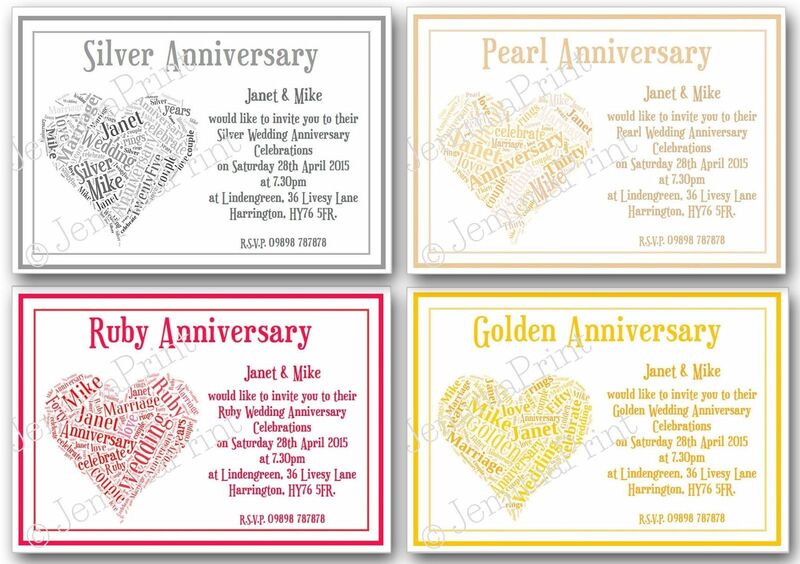 Please send me the names, date, time, venue(s) & RSVP phone number (if required) to personalise your invitations via “order notes” at the checkout. I will then send you a proof to check that you are happy with everything, via email, so please check your emails to avoid delays. * PLEASE NOTE – the Christian names will be included in the heart image. The image shown an example only, as your image will be created personally for you, the layout of the words and placement of the colours will vary – though the colour palette will remain the same. 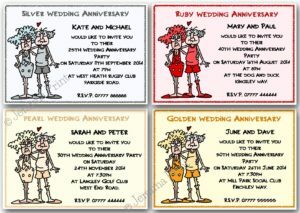 The price is for a pack of 10 invitations, complete with white C6 envelopes. 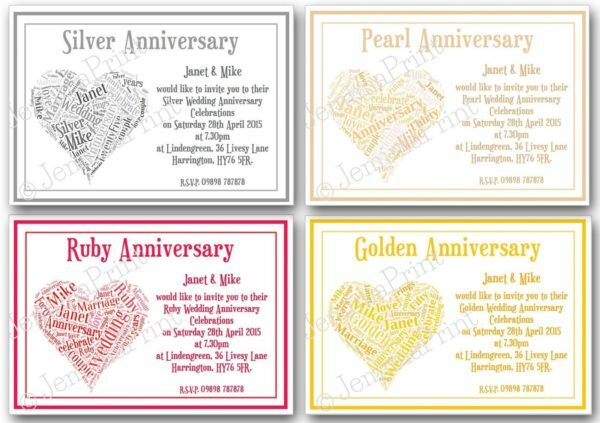 Each design of invitation measures approx 14cm x 10cm, and is postcard style, printed onto good quality card (textures may vary). Postage for additional packs of 10 paid for in the same transaction will be charged at just 10p per pack.